Vilas is a Vice President of Flexpoint Ford. 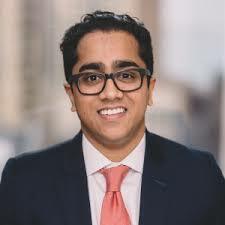 Prior to joining Flexpoint Ford in 2015, Vilas was an Associate in the Financial Services group at TA Associates in Boston. During his tenure at TA Associates, he focused primarily on investments in growth financial services and technology companies. Prior to TA Associates, Vilas worked as an Investment Banking Analyst at Moelis & Company. Vilas received a B.B.A. with high distinction from the Ross School of Business at the University of Michigan.